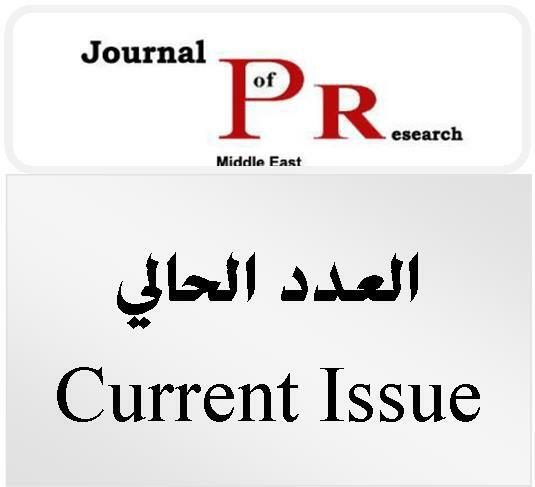 Founder and the editorial board of the Journal permanently seek cooperation with scientific and research bodies and universities for scientific exchange and dissemination of knowledge and scientific research, and the involvement of the Journal within the international digital databases, as well as to the involvement of faculty and researchers from around the world to deploy staff in the Journal, By the three languages ​​(Arabic - English - French). 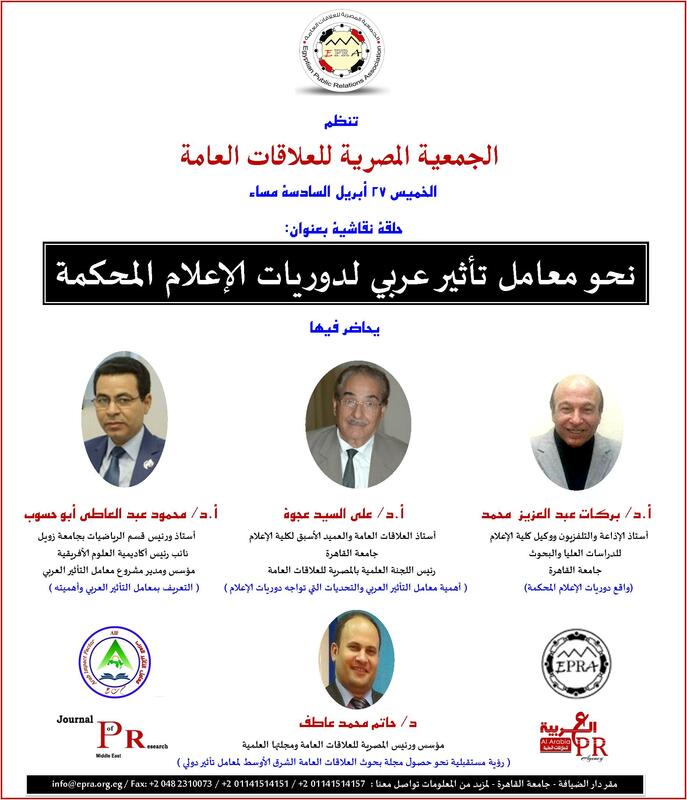 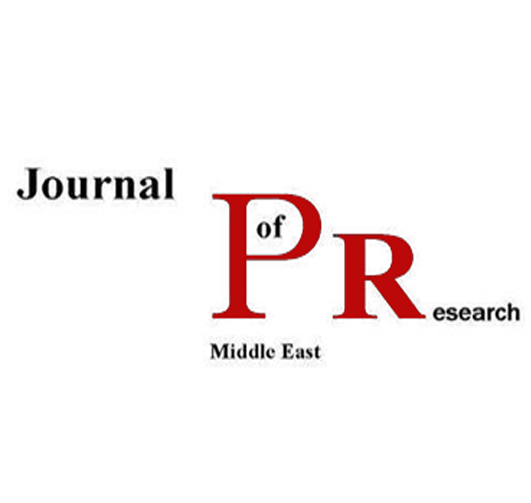 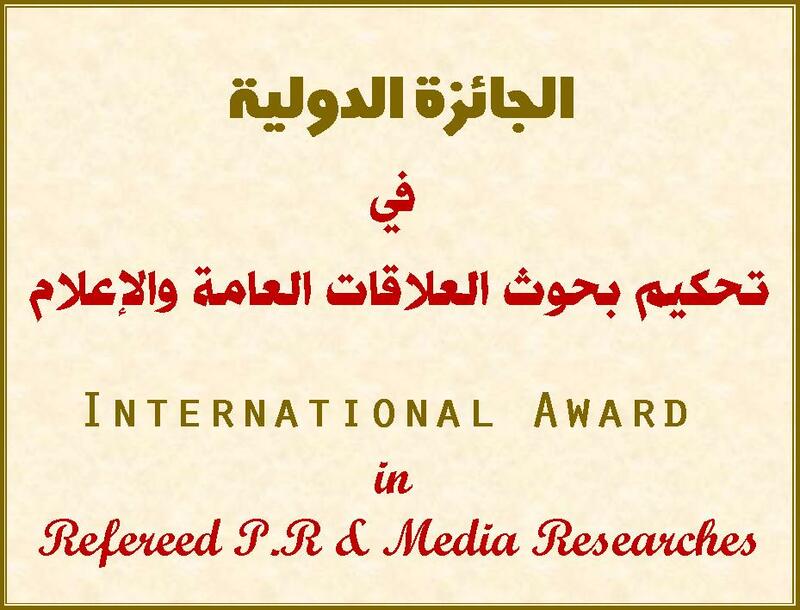 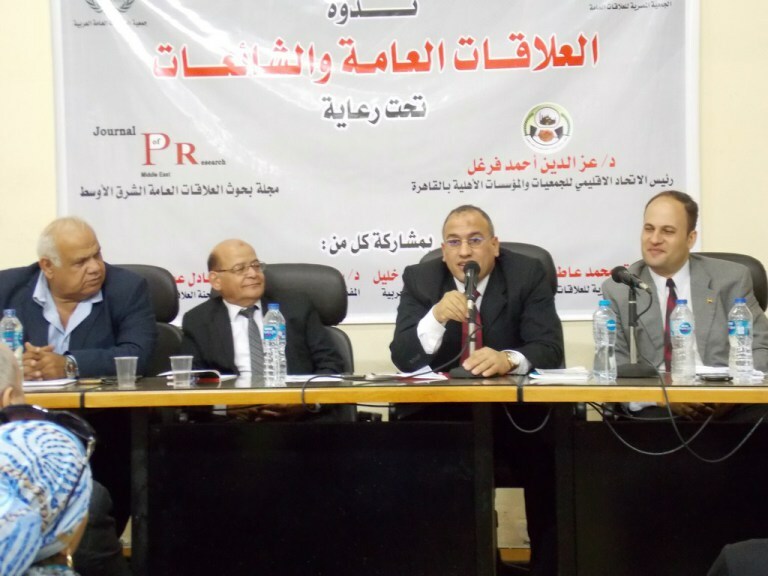 Egyptian Public Relations Association and the associated entrusted with the issuance of the Journal of Public Relations Research Middle East permanently as a project implemented by the founder of the Journal through the Association - with several universities and research bodies sponsoring scientific publication and the involvement of the researchers for publishing the Journal. 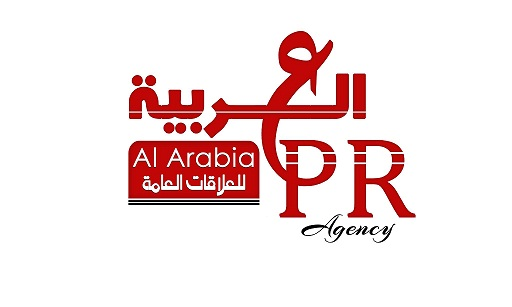 The aim of the founder and the editorial board of the journal of establishing partnerships and scientific cooperation at the regional and international level; enriching the Arab and global media library science and public relations scientific and intellectual production.